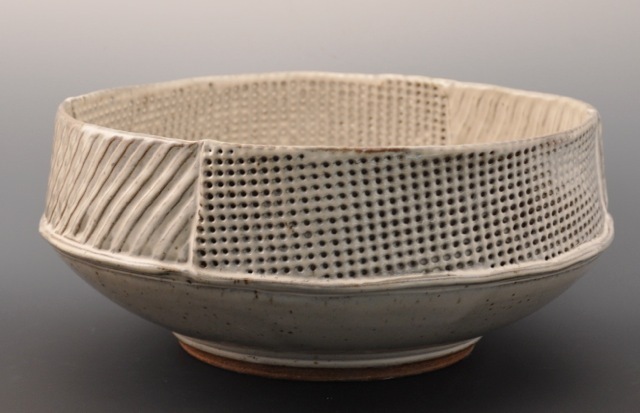 What is the best piece of advice you can give someone about finishing/glazing ceramic works? Take your time and try to use a small glaze palette in the beginning. Glazing can be overwhelming and narrowing down your palette to less than six colors can help. And ALWAYS bring your notebook and write things down. Why do you love high-fire reduction ceramics? There is a depth in the glazes that you can't always get from electric oxidation. I love all atmospheric firings because of the variations that you can get when the glazes melt, especially on texture and carving. What is your all time favorite glaze and why? Shino. I like the earthy quality and the burnt orange color. I also like that it is translucent and you can see slip and carving through it. Have more questions for Mary? Ask away in a comment and the glaze master will do her best to answer!